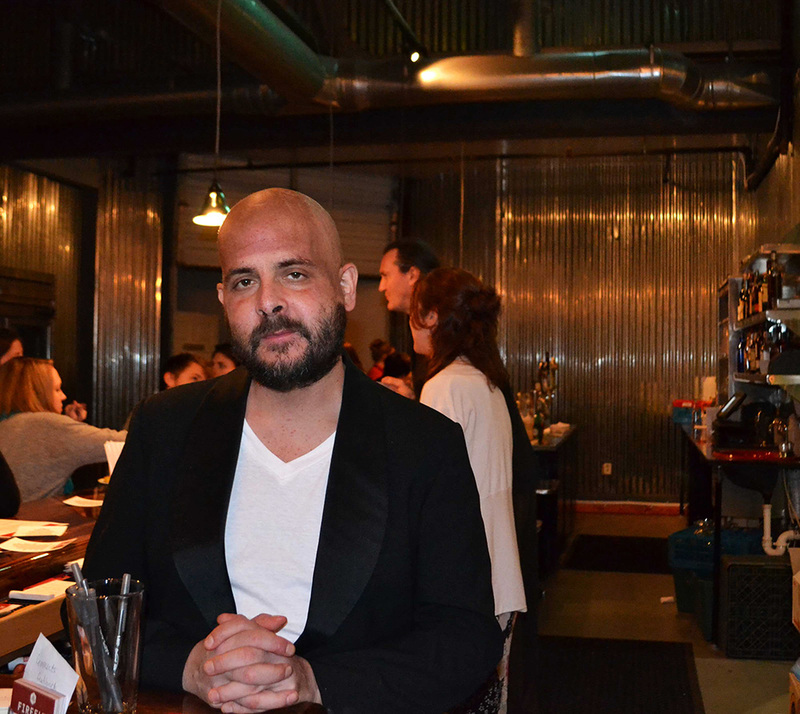 After working hard all summer between chemotherapy treatments and surgeries, Mark Weber has finally been able to realize his dream of opening a modern game room with craft beer and local food. “I want a place where I can go play pool, it’s not smoky, and I can drink good beer,” Weber said. While there have been some delays due to construction hurdles and Weber’s battle with cancer, Weber opened Firefly on November 22. 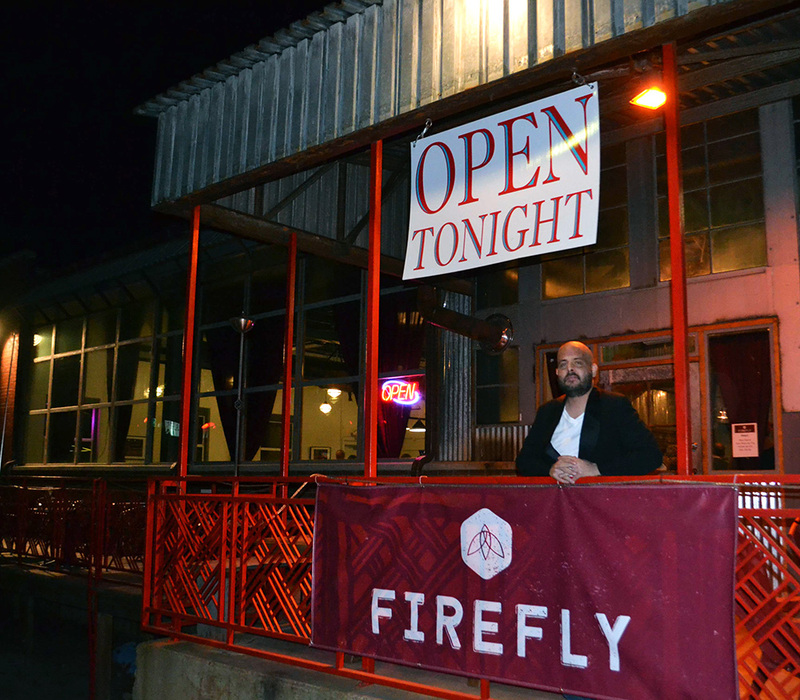 Firefly’s Grand Opening was so successful that the bar had to close the next day to recoup after almost running out of food and beer. The bar, restaurant, and arcade room now occupies the space that was once home to Woolly Mammoth at the corner of East Market Street and Meade Avenue in Woolen Mills. Weber said he loved the industrial feel of the venue and decided to buy it in May around the time of his cancer diagnosis. “This is actually the only place I looked at,” Weber said. While the industrial feel of the venue caught his eye, he soon began envisioning a game room similar to one he used to frequent in Washington, D.C.
“That place closed. It was kind of tragic,” Weber said. While Firefly has plenty of pool tables, arcade games, and pinball machines for its guests to enjoy, Weber and his partner Melissa Meece have also placed a lot of attention on the beer and food menu. Meece said she hopes customers will realize that comfortable dining is a main focus at Firefly. “I want to have enough table space where people can sit down and have a good meal,” she said. The menu includes “bar snacks” like fried chickpeas with smoked paprika and popcorn with sea salt and Parmesan cheese. It also includes a variety of starters, such as Korean-style chicken wings, deviled eggs, and tater tots, as well as salads and sides. The menu also hosts a large selection of main courses, such as the Firefly cheeseburger with beef from J.M. Stock Provisions, an Autumn Olive Farms pork shoulder, and a “No Bull” burger with pesto and mushrooms from North Cove Mushrooms, just to name a few. The bar, which is managed by Ben Quade, features a variety of local and national craft beers, including brews made by Champion Brewing Co. and Devil’s Backbone Brewing Co. There’s also Bold Rock Hard Cider on tap. Weber hopes the mixture of games, food, and brews will be enticing to Belmont’s late-night crowd. Firefly is open from 4 p.m. to 11 p.m. Tuesday through Thursday, 4 p.m. to midnight on Friday and Saturday, and 12 p.m. to 5 p.m. on Sunday. It is closed on Mondays.